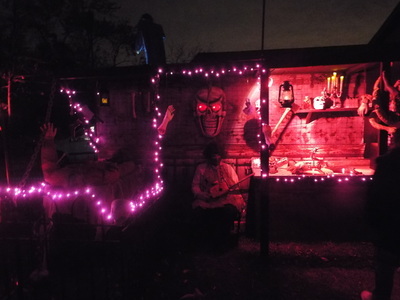 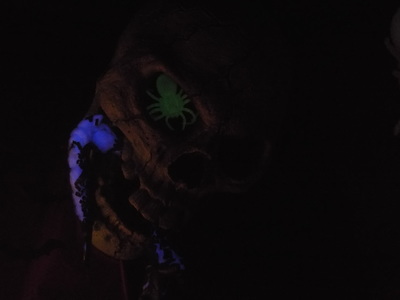 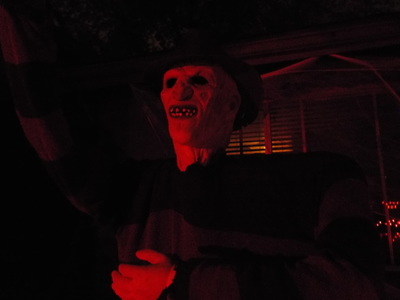 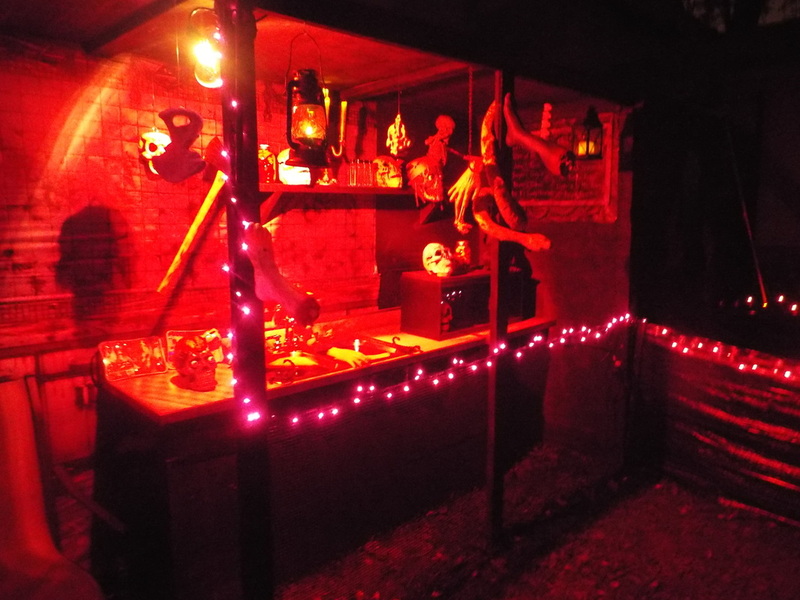 Nightmare on Newport is one of a grouping of fine haunts and yard displays located in Oak Forest, IL. 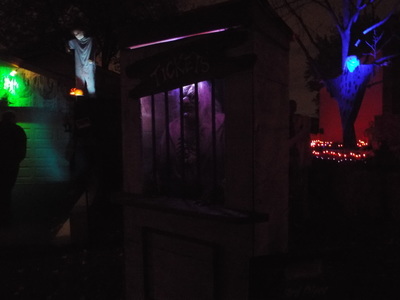 It joins some of our favorites, including Frankenstein’s Wedding and Moe’s Graveyard. 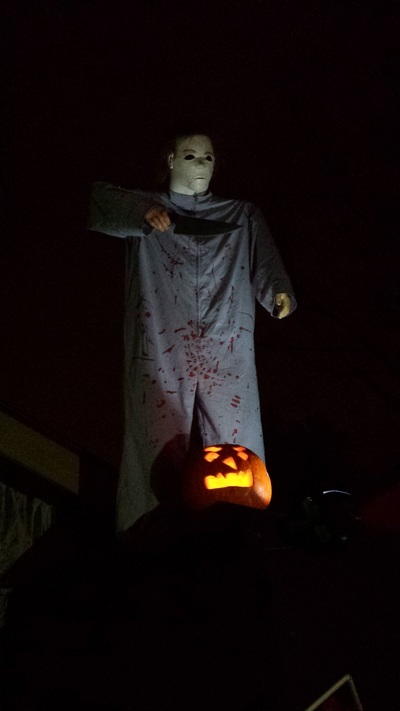 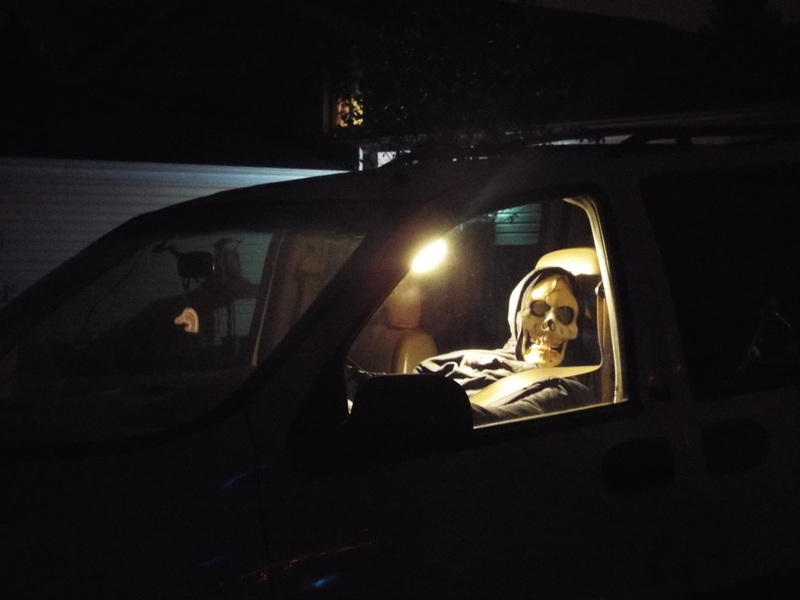 We’ve enjoyed watching this haunt grow over the years from a yard display into an actual home haunt, always with some clever surprises thrown in. 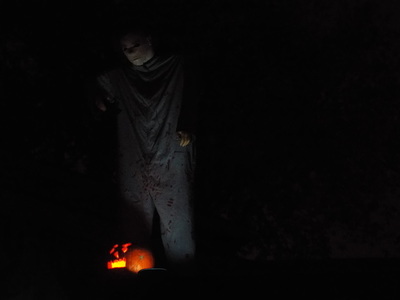 What we like most about Nightmare on Newport is that it incorporates many of the classic 80’s movie monsters into it, including Freddy Kreuger, Pinhead from Hellraiser, Chucky, Jason Voorhees and Michael Myers, who stares down at visitors from high atop the garage roof. 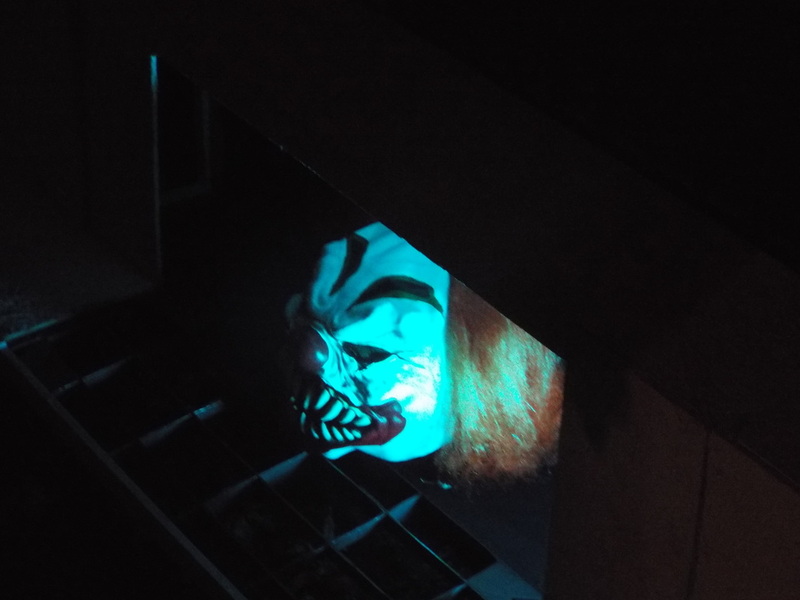 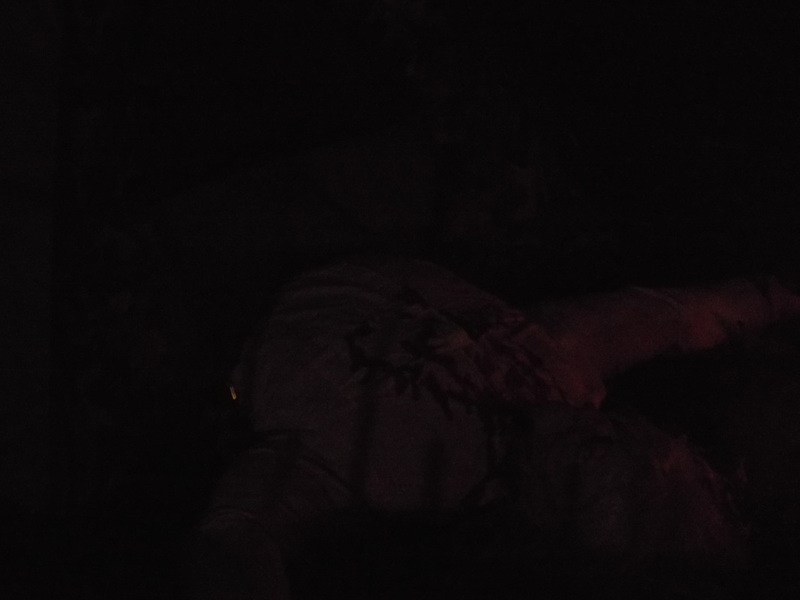 In addition, the haunt features other characters that vary, including the clown from Stephen King’s “IT” that was lurking in the sewers in this year’s display. The setup features a small covered walkthrough along the side of the garage, and then a larger winding path that moves all across the front lawn. The maze is designed specifically so that visitors have to pay attention to navigating and so that they will be unaware of live actors sneaking up on them, which they do to great effect. 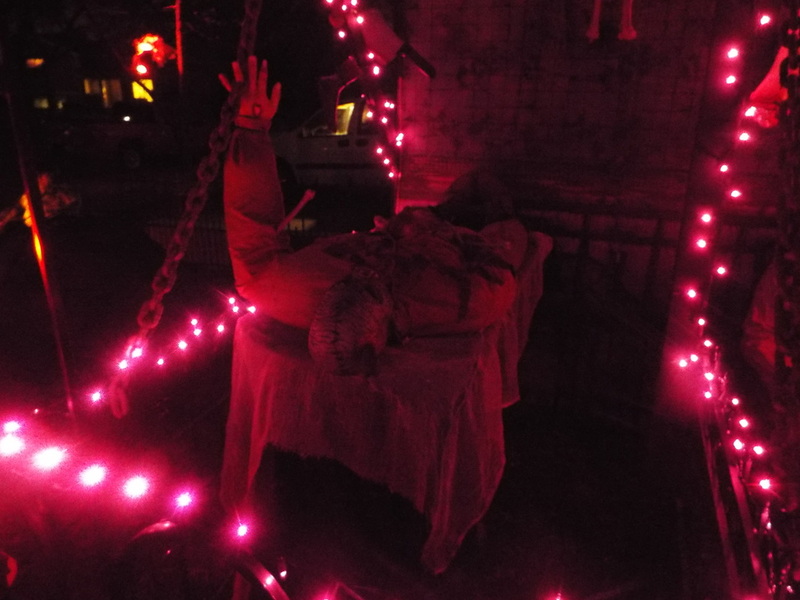 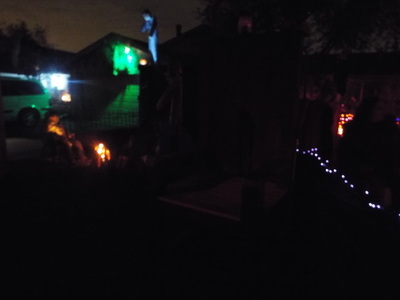 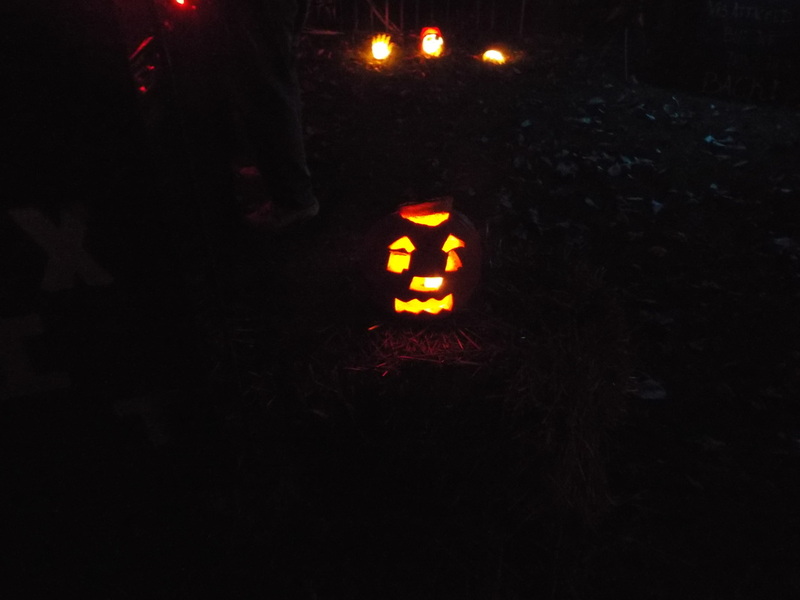 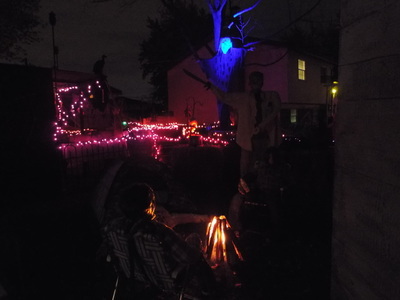 Each year the yard display is a bit different, and each year the home haunt grows a bit larger. What remains the same, though, is the excellent characterizations by the live actors that populate the haunt. 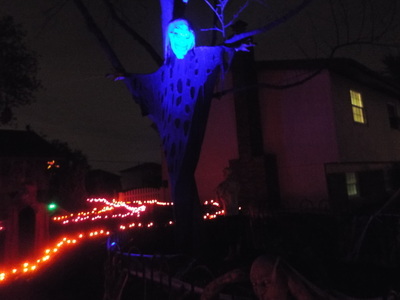 Many of them are fabulous at standing very still and acting as if they are props. 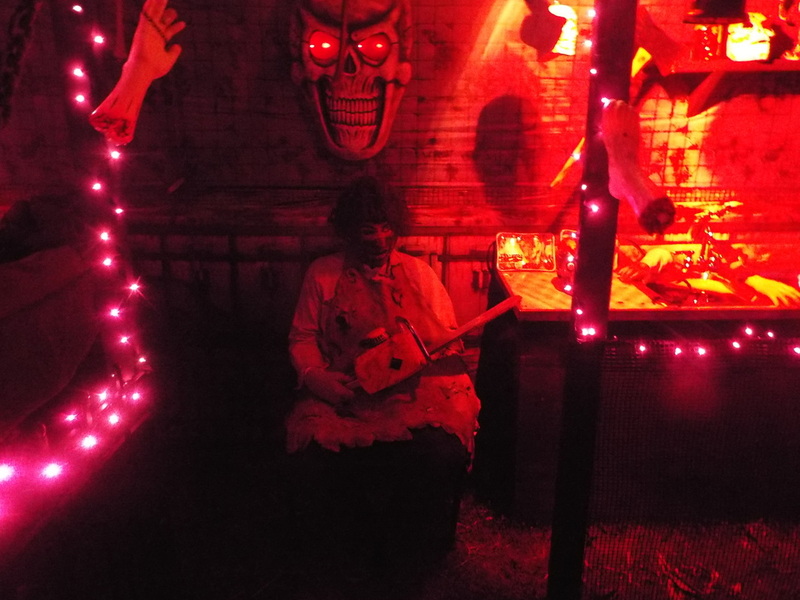 We love bringing new visitors to Nightmare on Newport just so they can be scared by a live actor suddenly jumping out at them after they pass a “prop.” It’s great stuff, and the entire family gets in on the haunting. 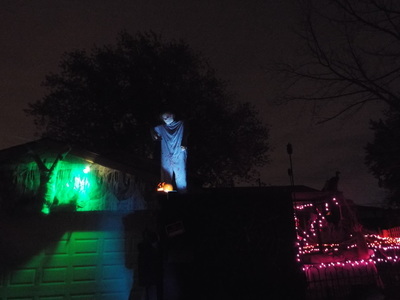 We can tell it’s a labor of love, as many hone haunts are. Here’s to a great 2015 and some more surprises!